So we are going to play a game of Truth or Dare. (Or in our case Truth AND Dare). 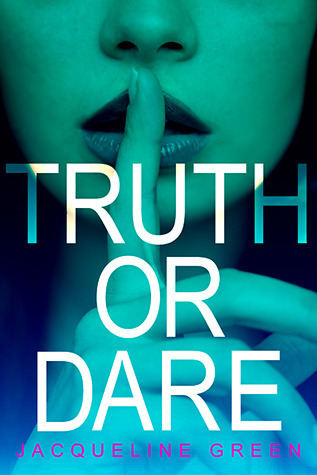 Want to win a copy of Truth or Dare. Want to know a bit about a game of Truth or Dare I played? I was in middle school. I got my first kiss. It was fun and awkward. For me it was probably streaking my neighborhood, from our house to the end of our street and back. It was pretty late so I didn't think it would be a problem, but two times cars came by and I had to duck for cover. I havent done truth or dare before..I usually say no for the fear of someone daring me to run around outside naked..I dont have the guts to do it..Thanks for the giveaway!! I had to take a maxi pad and throw it at a guy walking outside my friends window. Thankfully she knew him so he wasn't too mad! I have no idea how she came up with that. That was the last time I chose dare. It was all truth after that. Well I don't think I can say my craziest times!! lol But I did play Truth or Dare quite a bit!! I loved playing that game. We always had fun and did some "crazy" things. I think I can share this one. We dared a guy to run around naked in the neighborhood and he did and not only did he run around but he was playing ding-dong ditch!! It was the funniest thing ever!! And this book sounds SO GOOD!! I am SO looking forward to reading it!! **crossing fingers** Thank you for this awesome giveaway!! I pick truths so I don't really have one. I've never played truth or dare. haven't played in a long time, but when i was a kid i was dared to run down the street in my nightgown and flash the boys down the street. I usually picked truth but the one time I picked dare they dared me to lick the toilet seat...uh...no.